Stucco is a commonly used exterior finish in Florida that is applied to structures for preventing water from penetrating the interior of a building. Detailed building codes and standards of care for the proper installation of stucco to the exterior of a residential or commercial structure exist to ensure that stucco is properly applied. The stucco installation process requires a number of critical steps to ensure that the stucco performs as designed and properly serves as a barrier to the outside elements and moisture. What does stucco damage look like? In many cases of defective and improper stucco installation, the damage is obvious: stucco that is cracked, separated from the structure, or even falling off of a structure are often telltale signs. Discoloration or rust spots on the stucco finish can also be indicators of water having seeped in due to a builder’s installation error. What you may not see immediately, but is still significant, is the damage beneath the stucco that can occur within your home or commercial building. This damage can include, but is not limited to: rotting of the wood framing, water-soaked insulation, toxic mold growth, structural damage, and electrical problems. Do I have stucco damage? 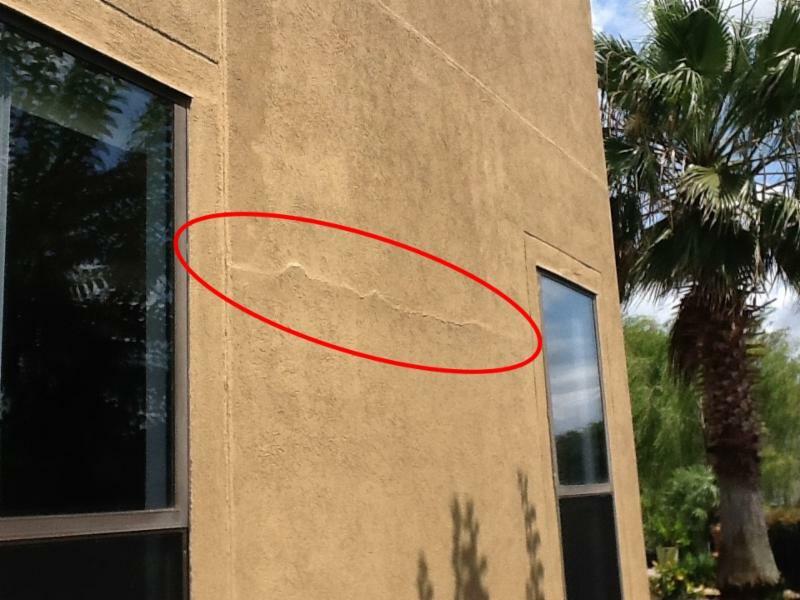 Stucco damage comes in many forms, but the picture below demonstrates a typical crack that would result from improper installation. Please be aware that some damage may appear more severe than others. However, even if the visible stucco damage does not seem severe, significant internal damage can still have occurred within your residential or commercial structure. What Should I Do If I Notice Stucco Damage? Take photographs and videos of the damage. Gather all of your sales contracts with your builder or contractor. Obtain a copy of any warranty documentation from your builder or contractor. Create a list of all insurance policies that may cover your home or building. Florin|Roebig attorneys have prosecuted several hundred defective stucco installation claims on the exterior of commercial and residential structures in Florida. Throughout the process of prosecuting these claims, we have represented numerous homeowners, condominium associations, homeowners associations, and commercial property owners. Reports of defective stucco issues have been publicized on numerous occasions, including the recent WTVT Fox 13 news report where Florin Roebig’s Neil O’Brien was interviewed. At Florin|Roebig, our Construction and Stucco Defect attorneys prosecute claims against builders and contractors for the defective installation of stucco to homes, condos, townhomes, and businesses. If you have any questions regarding a potential stucco claim on your residential or commercial structure, call Florin|Roebig for a free consultation at (727) 786-5000 or submit information about your case for an evaluation on our Contact page.